I love to cook and I love to eat real, delicious food. I work from home and I make at least three meals a day in my kitchen. Delicious food, cooking and writing about it is a way of life for me. 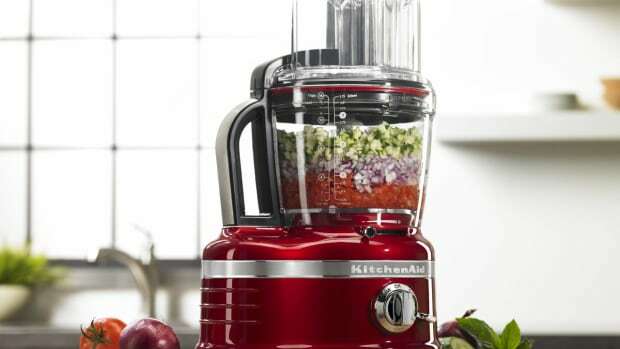 When the opportunity arose to review KitchenAid’s new 13-Cup Food Processor I was ecstatic. 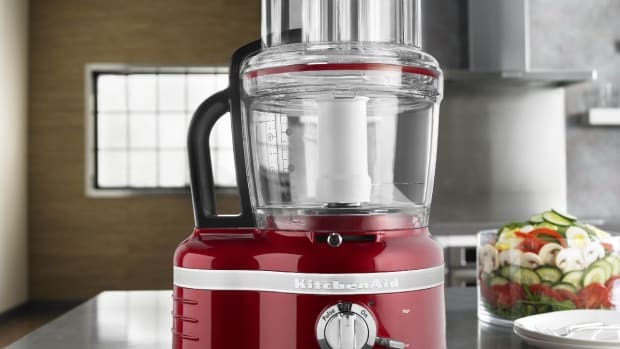 KitchenAid has a fabulous reputation for quality products and this food processor has the first and only externally adjustable slicing feature. When I discovered this, I thought, “I can now control how thick or thin the cut of my vegetables are with a food processor?” That is unheard of and super cool (and by the way we’re giving one away, read on!). When I opened the box and pulled out the food processor, I was impressed. With its gorgeous modern lines and contour silver color, I knew I would feel proud having this small appliance sit atop my kitchen counter. 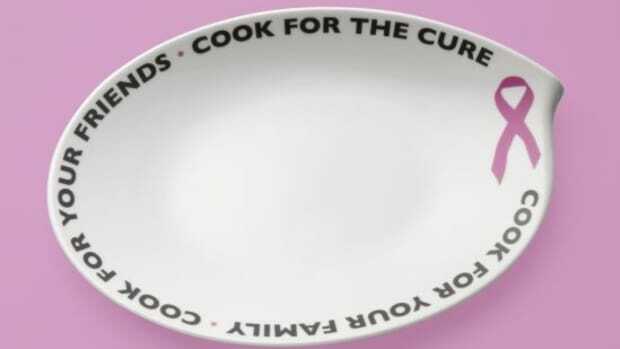 What can I say, it inspires me to cook, and I love showing off my kitchen tools. What really surprised me? The features. 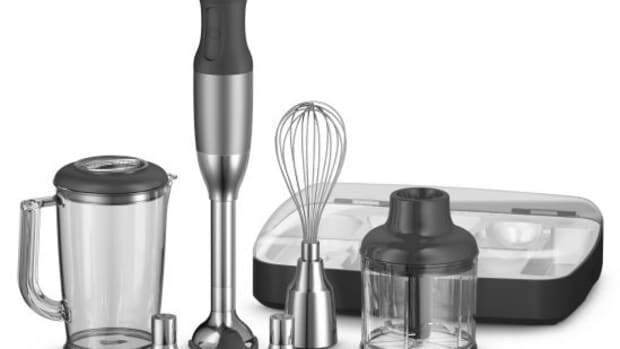 This food processor comes with its own storage case for the extra tools and blades. With my previous food processor, it was challenging finding a safe storage spot for the multiple blades and parts so no one would get hurt, or lose the tools. I knew if I stored the blades in an open drawer or cabinet, someone reaching in risked cutting a finger; not good! Now I can safely store all of my blades and tools in one spot without a worry. 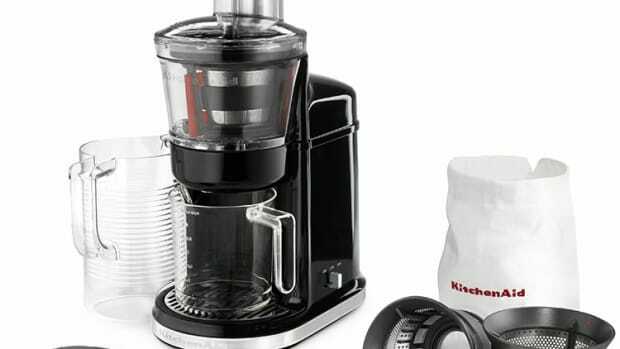 This 13-cup food processor is BPA-free (I must admit, I was surprised to see this product made without BPA, a chemical compound we can all do without! 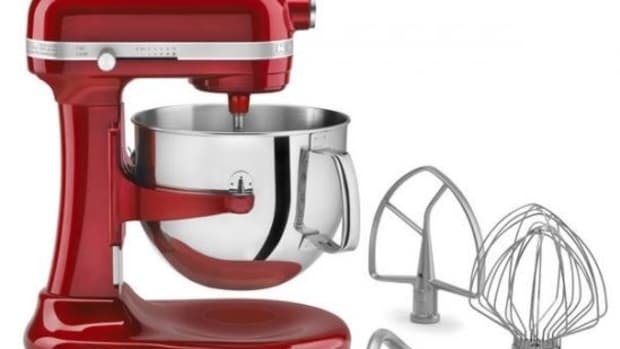 Thank you KitchenAid!) and it comes with a second 4-cup work bowl that fits snuggly inside the 13-cup bowl. This is great for small kitchens because the second small food processor doesn’t take up extra storage space! And did I mention the externally adjusting slicing feature? Somehow I knew I was going to love it. I immediately started dreaming up ingredients and recipes to test. At the top of my list, soup. It is a fav of my hubby’s and requires a large amount of chopping of veggies like carrots, onions, garlic and potatoes, etc. (I like to make enough to have plenty of leftovers so I usually double a recipe.) And with the chopping of onions usually comes a teary-eyed experience for someone in the house, unless you wear contacts like I do, but even then sometimes those onion oils manage to irritate my eyes. I got to work quartering and peeling my onions to run through the food processor. I started with one onion. The appliance hummed like a well-run wind machine (you know the ones they use for indoor sky diving). It was quiet, and chopped my onions fine in a few seconds flat. Next, I put in two quartered and peeled onions. The machine chopped them fine too in just a few seconds. This got me excited. And there were no tears! If I had chopped this many onions with my knife in my open kitchen, someone in the house would have been crying. Next up, carrots. I put several features to the test with the carrot. I used the slicing blade to see if I could get thin long slices using the 3-in-1 Ultra Wide Mouth Feed Tube (that lets you adjust to three different widths for slicing food horizontally or vertically), and the external adjusting slicing feature. It worked like a dream! The result: Long thin slices of carrot I could sear in my cast iron grill pan. Then I switched to the chop/puree blade and roughly chopped more carrots into large, oversized chunks to see if it could chop them fine. I was a little concerned about how it would handle this hard vegetable. When I fired it up, initially the machine didn’t run quite as smooth as it did through the softer onion, but in just a few seconds it chopped those large chunks into a fine dice. I loved it. My next ingredient: potatoes. They were no match. The food processor easily whipped through them, chopping them fine, just what I needed. My next culinary challenge: Chop three-and-a-half pounds of hot peppers for my hot pepper mash (I’m turning this into hot sauce to give as gifts for the holiday season). Can you imagine doing that with a knife? I simply trimmed the tops off the peppers and tossed them into the food processor to whip the blade through the peppers to chop them fine. I was done in no time. The next night I made a double batch of risotto with homemade chicken stock , fresh corn and chanterelle mushrooms. I needed two medium chopped onions fine. I skinned and quartered the two onions, put them in the KitchenAid food processor, turned it on low, walked to my stove to add my olive oil, butter mixture to my hot pan, walked back to the food processor and they were done. So nice. I even made my own almond butter in a snap (which is expensive in stores!). I loved that I could pour the olive oil into the feed tube and it slowly drizzled it into the mixture. So nice, so easy. 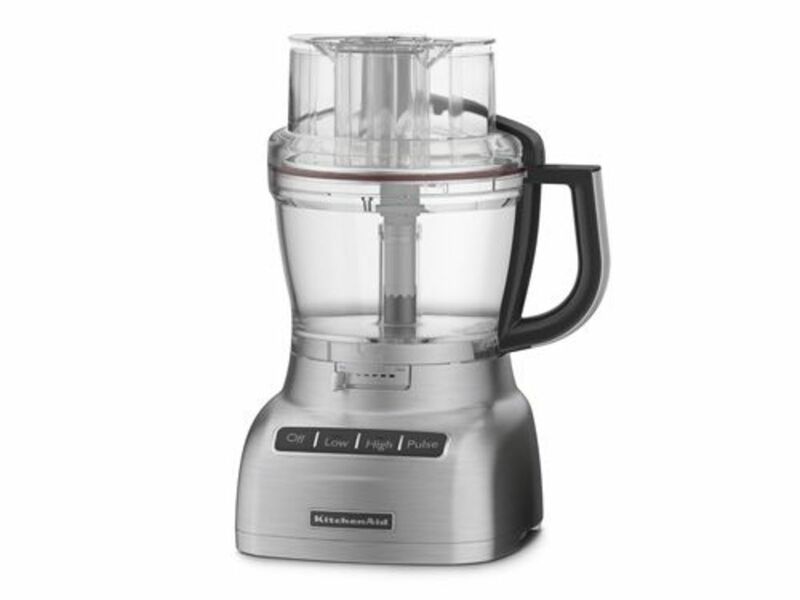 Overall this is a fabulous food processor. A couple of things I wasn’t so thrilled with is sometimes when using the slicing disc or blade, food gets stuck around the top of the inside rim. Not a big deal. And I still love the way my fancy blender blends soup. It blends it super fine to a perfect texture. 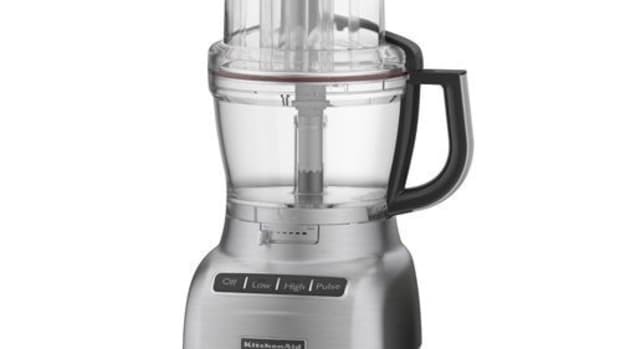 This food processor didn’t achieve that, but I think it would be just fine for most people (remember food is my life!). I can’t wait to put the shredding blade to work on all the cheese I need to grate for my upcoming holiday fondue party! A tip: Grate your cheese cold or chilled. That will help prevent build up and sticking to the blade. Do You Want This Food Processor? Organic Authority is giving it away! What do you need to do to enter? It’s simple. Sign up for Organic Authority’s newsletter by November 30th, 2011 and share it on Facebook! 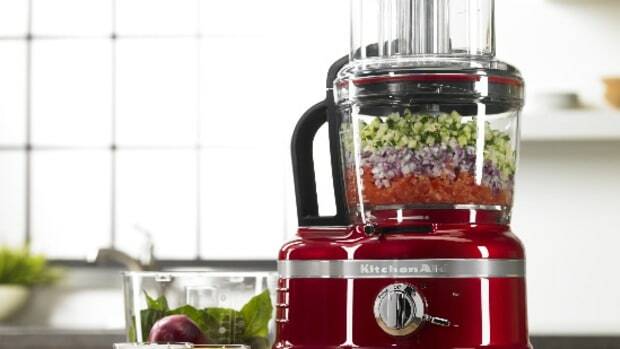 One lucky newsletter subscriber will win KitchenAid’s 13-Cup Food Processor. What are you waiting for? Sign up for Organic Authority’s newsletter today. Good luck! Organic Authority, LLC makes every effort to authentically test products and give an honest, transparent review. The opinions of the reviewer may not reflect that of Organic Authority, LLC. This product was sent for testing and review by the manufacturer. The review was not paid for.